When you are in a beach outing, the first thing that you will consider is a beach front accommodation. On my second visit to Bantayan Island I was able to score a beach front accommodation at Budyong Beach Resort for a very affordable price. 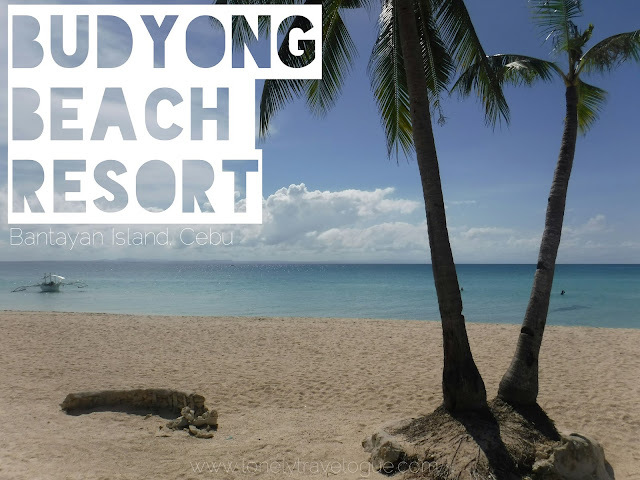 The native accommodation offered by Budyong Beach Resort will surely give you your money’s worth. In my opinion Budyong Beach Resort has one of the best beach front property in Bantayan Island. Fine white sand in a turquoise water beach will make you stay for one more night in the island. I like the fact that Budyong Beach Resort along with other resort maintained a distance to the beach giving the beach goers a wide range view of Bantayan beauty. Coconut trees are stunningly line up along the beach while the grounds of the resort maintained a manicured garden with open grounds paved by grass and white sand. Budyong Beach Resort offers their beach front cottages for Php2,500.00 per night, good for four, with air-conditioning and comfort room. The cheapest room the resort offers is the fan room priced at Php850.00, good for 2. Budyong Beach Resort is just 5 minutes away from the market where restaurants, bars, souvenir shops are located. If you feel like walking from the resort to the market, feel free to do so because Bantayan is generally safe. If you don't wanna get out and just want to chill in the resort, they have an in-house restaurant that offers good and affordable food. Their breakfast meal ranges from Php100 to Php120. Budyong Beach Resort also offers island hopping, island tours, bike and motorcycle rentals through its partners. We rented a bike to explore Sta. Fe town and to visit some of its attractions. Bike rental is Php100 per day.